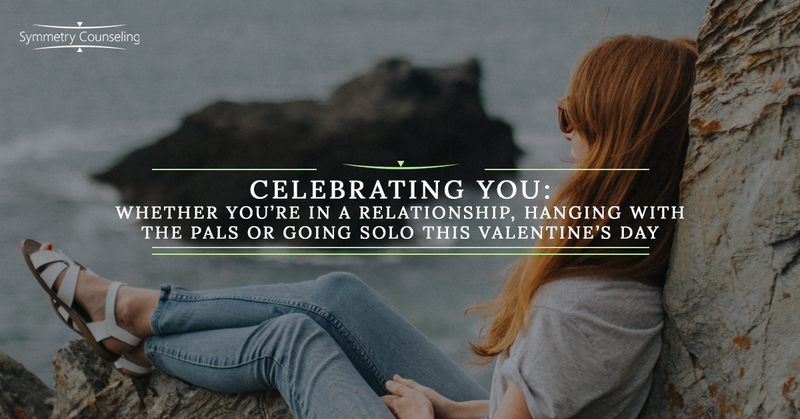 As Valentine’s Day approaches, it can be stressful for people with and without significant others to share it with. The culture we live in today promotes the idea that you have to have a significant other on Valentine’s Day to be happy. What about the individuals who do not have a significant other to share it with? It’s simply Single Awareness Day, which is not something some individuals want to be reminded of. What can you do to deal with the stress of my friends and family members who have someone to spend Valentine’s Day with? Galentine’s Day! Galentine’s Day is a “new” holiday that occurs on Valentine’s Day Eve where gals (and/or gents) come together to have a nice dinner out to celebrate their friendship with each other. While this holiday was originally created through the popular television show, Parks and Recreation, it has become very popular today. This holiday is a nice way to step back from the culture of feeling the need to be in a relationship to feel happy on Valentine’s Day. It allows you to find joy just spending time with people who bring you up on your bad and good days. Treat yourself: On actual Valentine’s Day, if you currently identify as single, find something special to do for you. Also remember, it is just as important, if not more important, to show love for yourself as it is to show love for others. What does that look like? It depends on each and every individual, but here are just a few fun examples! Celebrate your Relationship: If you currently do have a significant other to spend Valentine’s Day with, what can you do to not fall into the cultural restrictions of needing to buy an elaborate gift for him or her? Make each other a hand made Valentine’s Day card; time to use those creativity skills! Go for a walk outside somewhere new; be sure to bundle up if it is cold! Most importantly, be present! Valentine’s Day is about celebrating someone you love, whether that be your significant other, friends or yourself! If you are currently struggling with how to care for yourself, it may be a good idea to connect with one of our skilled counselors at Symmetry Counseling today. You can contact them at 312-578-9990 to set up an appointment.